During my weekend in San Fran, my roomies and I spent a good portion of time talking about food. Shocking, I know. When Joanne mentioned a pumpkin pizza dough she had posted on her blog, I knew I had to have it. ASAP, naturally. Three days later? Done. Devoured. The pizza dough recipes makes two large pizza crusts. 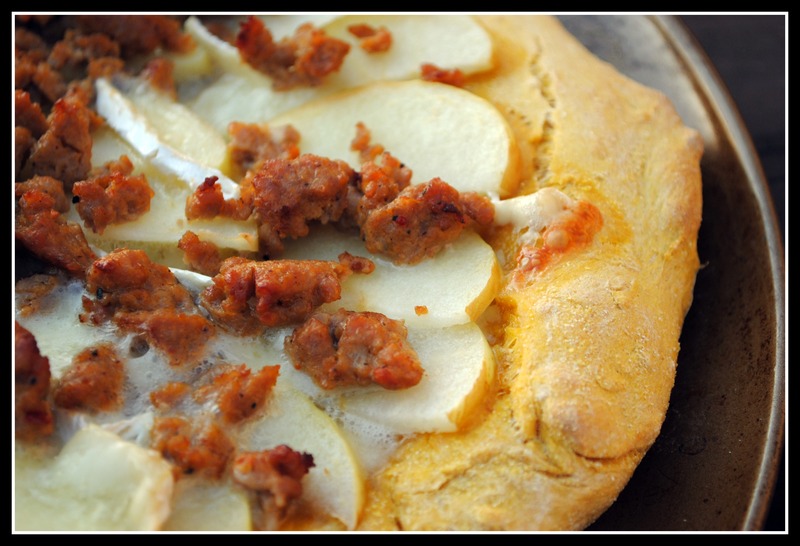 One pizza I made with Apple, Brie, and Sausage just as Joanne had posted. And…wow. I didn’t even think I liked brie, but I most definitely, definitely do. 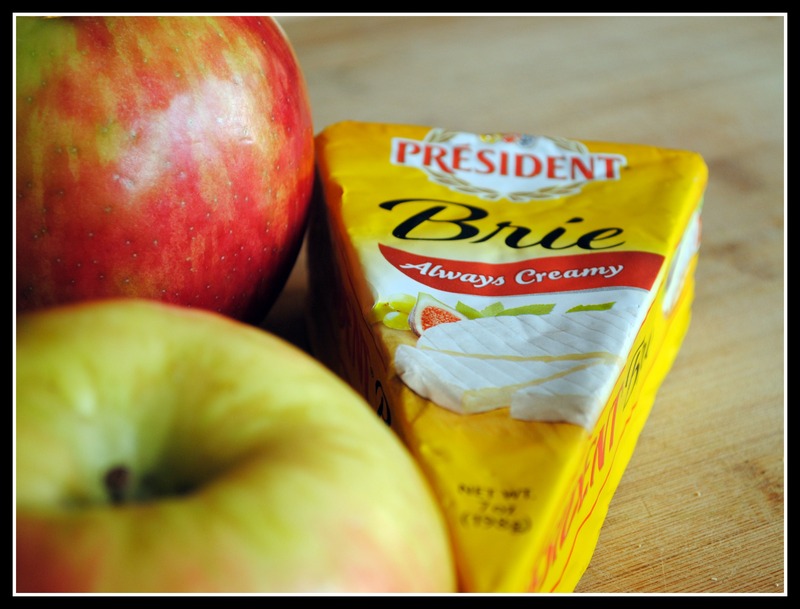 When brie melts, it turns into a buttery cheese that spreads beautifully. The only touch I added is a bit of fresh arugula after being baked. Many authentic Italian pizzas finish with a fresh sprinkle of arugula, and this is something we’ve carried over at home. 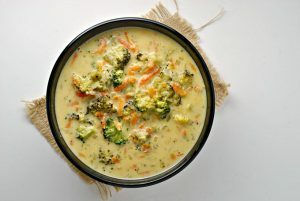 Plus, sneaking in veggies and something green is always a benefit. It was just a few days later that Mr. Prevention was pulling the leftover pizza dough out of the fridge, ready to make another homemade pizza. Except, he’s not very savvy in the kitchen…or very patient. Or very good at rolling pizza dough. …while he attempted to make a pizza…sans cherry tomatoes. “Probably,” I said. He grumbled and maybe shred a 4-letter word or two. And I rolled my eyes. A lot. Behind his back. Then comes the funny part. Mr. Prevention always puts red pepper flakes on his pizza. He screwed off the top instead of popping open the lid to be shakable. And…he ended up with a PILE of red pepper flakes all over his pizza. He was livid. It was funny. Next time, maybe he’ll learn to be a bit more patient, go grocery shopping with his wife (even if he packs the cart with a junk like a 6-year-old), have cherry tomatoes for his pizza, and not cause one heck of a pizza ordeal for no reason at all…or, ask his amazing, awesome wife for help or directions. He has options. Both of which would one-up whatever wend down at our house this past Saturday night. And I think we can both agree that the Apple, Brie, and Sausage Pizza on the Pumpkin Crust was far superior to his version. I think he learned that when it comes to pizza, I am the master-maker. He…is the master-eater! In a small bowl, mix together the yeast, 3/4 cup warm water, and brown sugar. Let sit for about five minutes or until it starts foaming. While the yeast is proofing, in a small saucepan, combine butter, salt, and the remaining 3/4 cup water. Heat until the butter melts. Let it cool until warm, but not hot. 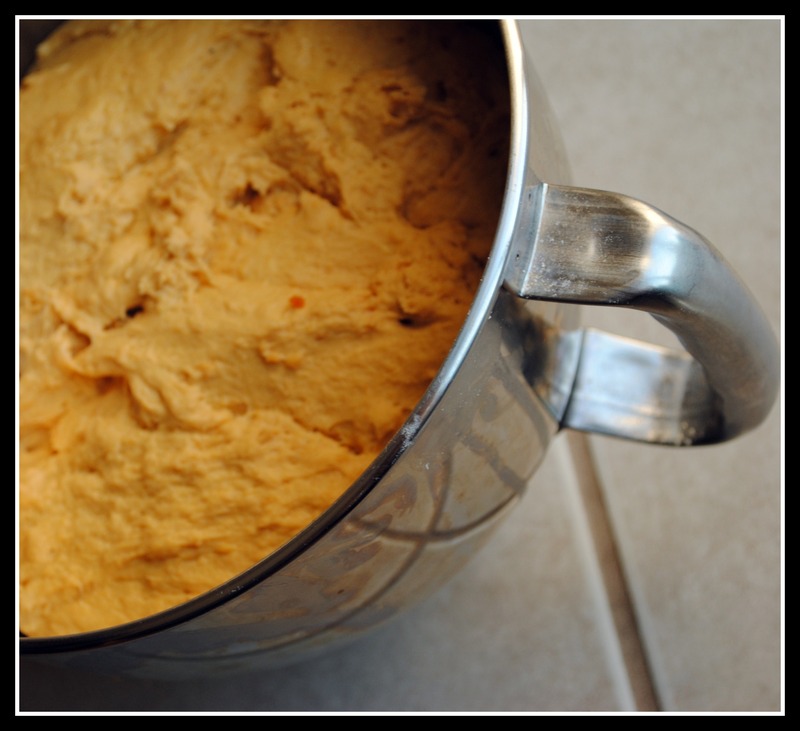 Pour butter mixture into the yeast mixture and then into the bowl of a stand mixer. Mix the pumpkin puree into the yeast and butter mixtures. Mix in the bread flour. Using the bread hook attachment, mix the dough on speed 2 for 10 minutes. Add enough flour so that after a minute of mixing, the dough sticks more to the hook than to the sides of the bowl. The dough should be a little sticky. After the dough has risen risen, cut off half of it. Sprinkle the half with flour and mold it into a ball. Place on a clean surface that’s covered in flour and roll out to a desired thickness. Place on a pizza pan. Bake for 3-4 minutes and remove from the oven. Meanwhile, cook sausage in a skillet over medium heat, crumbling it up using a spatula. Cut apples into thin slices. Layer onto pizza. Next layer slices of brie onto the pizza. Sprinkle with turkey sausage. Put in the oven and cook for 10-12 minutes or until bottom of dough is starting to get brown. Yield: 2 pizzas (8 servings — 1/4 of a pizza each). Result: This was…amazing. I ate this while driving…plate and all. It was too good to not finish eating before heading to class. Not sure about apples on pizza? Not sure about no pizza sauce? Give this pizza a try. It is…so unique and just…works! Plus, 9 grams of fiber in a serving of pizza? I love it. Enjoy! The past few days have been SO busy. My Google Reader is over-flowing! Eek! This looks fantastic! 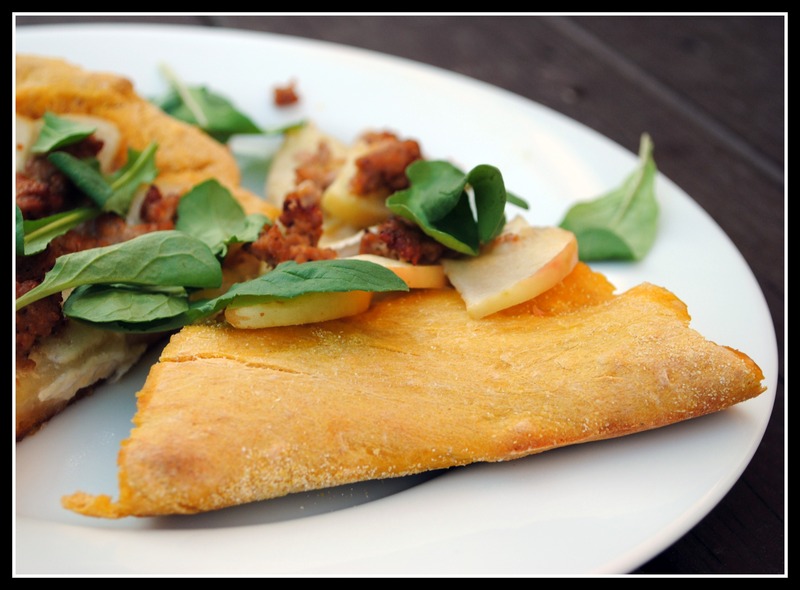 I love the combination of apples and brie, so it just seems natural that I would love this pizza. I am SOOOO glad you liked it! I need to find a good veg sausage replacement so I can make it again. Ugh, husbands and boys in general. What are we to do with them? Other than feed them, of course! 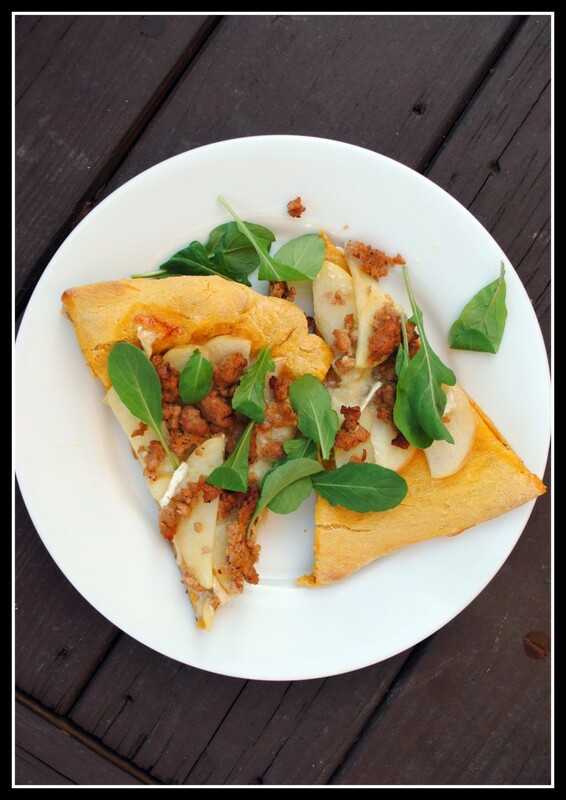 Whoa… this pizza sounds seriously amazing! Pumpkin pizza dough is something I MUST make asap. Oh my pumpkin pizza dough!? This sounds amazing clearly I’ve never thought to change the dough in addition to the toppings. This pizza looks flippin’ fantastic! Isn’t brie just amazing!! It’s one of my favorite cheeses! Pumpkin pizza dough?! Freaking genius! I’ve made a pizza with Brie on it once before and I was in pizza heaven! Not sure why I haven’t done that in a while but thanks for the reminder! 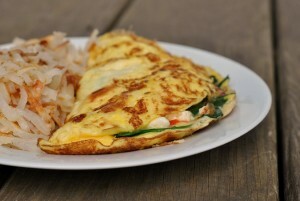 It’s on the weekend meal plan now! Mmmm, pumpkin crust. AWESOME!! Oh Mr. P, he cracks me up with his menu planning skills, and red pepper flakes-fiasco. pumpkin crust…with brie? omg that sounds sooo good! Even as just pumpkin ‘bread’, not even as a pizza crust…I could be all over that action. mmm sounds like a winner to me!